Of all the elements you may think matter the most – your bridal lehenga, your bridal jewellery, your food – the venue is what will eventually seal the deal on an affair that will be remembered. The wedding venue plays a super crucial role in setting the tone for your wedding. It is also the foremost concern of guests in terms of convenience and the first indication about the kind of celebration they can look forward to. It can be fantastically easy to pick a venue that looks gorgeous. But, as the saying goes ‘all good things come with a price’ and in case of a pretty wedding venue, you can set an easy huge sum aside. For couples looking for a perfect and pretty banquet hall in Electronics City Bangalore, here is our list of top 5 venues, which you may have not known about and that can fit your budget. Read to find out why these are so popular. It doesn’t get any grander than hosting your wedding at Crowne Plaza. An IHG brand of hotels, Crowne Plaza spills luxury. One of the swankiest banquet halls in Electronics City Bangalore, there is no better place than Crowne Plaza perfect to host lavish and luxurious Indian weddings. 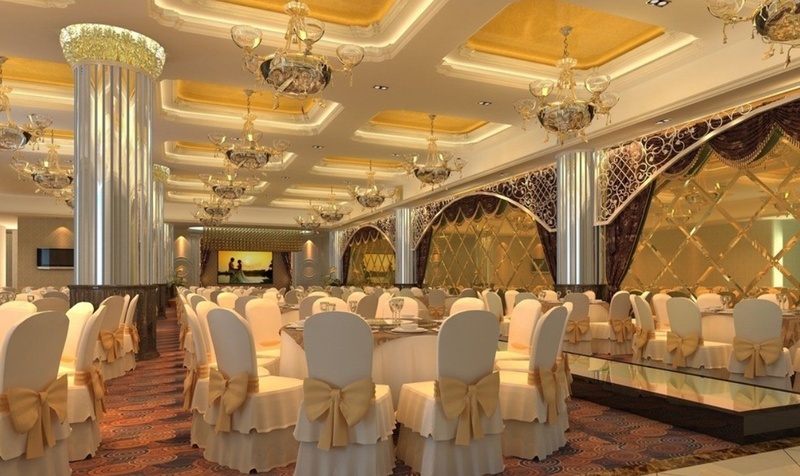 Other than its plush banquet halls, a grand ballroom with shimmering candle-effect ceiling lights, 40,000 sq. ft. of outdoors events space and a terrace venue with panoramic view are also available. For booking enquiry, click here. Located at a short distance away from Bangalore’s IT hub and offering great connectivity to almost anywhere in Bangalore city, Lemon Tree is one of the banquet halls in Electronics City that will simply blow your mind. Offering just one supremely designed banquet hall the venue ensure your celebration is top notch and exclusive. With just one wedding taking place at a time, you can rest assured that your event will receive comprehensive attention to detail. With an aim to ensuring your celebration, as well as stay at the hotel makes you feel lemon fresh at all times makes it one the most sought after venue. Offering a fresh, inviting and convenient environment, Radha Regent is your ultimate destination for hosting a serene and classy wedding. You can either choose from their 6 tastefully designed banquet halls in Electronics City or poolside space to celebrate your big day. Their pillar less Regent hall can be further divided into 3 individual halls with a smaller pre-function area making it an ideal choice for your pre-wedding celebration too. Looking for a marriage hall in Bangalore that offers amazing value-for-money? Look no further than Bharini Residency. If having a wedding on a budget, this wedding hotel in Electronics city is an ideal choice. If you’re the quirky kind of bridal couple looking to host a fun pre-wedding celebration or cocktail party, you can book their What’s Up Pub. While a traditional wedding ceremony and reception can be held at its banquet space. Is a resort style wedding on your mind? Manipal County is where your hunt comes to a halt. Since Bangalore is blessed with a pleasant weather all year round, Manipal is you perfect outdoor wedding venue. Other than their beautiful poolside area and well-manicured lawn, they also have multiple banquet halls should you need to have an indoor celebration. Their Pavillion hall is one of the largest banquet halls in Electronics City. Looking for more such amazing banquet halls in Electronics City, check out our complete listing here. For banquet halls in other localities of Bangalore, browse our listing here.